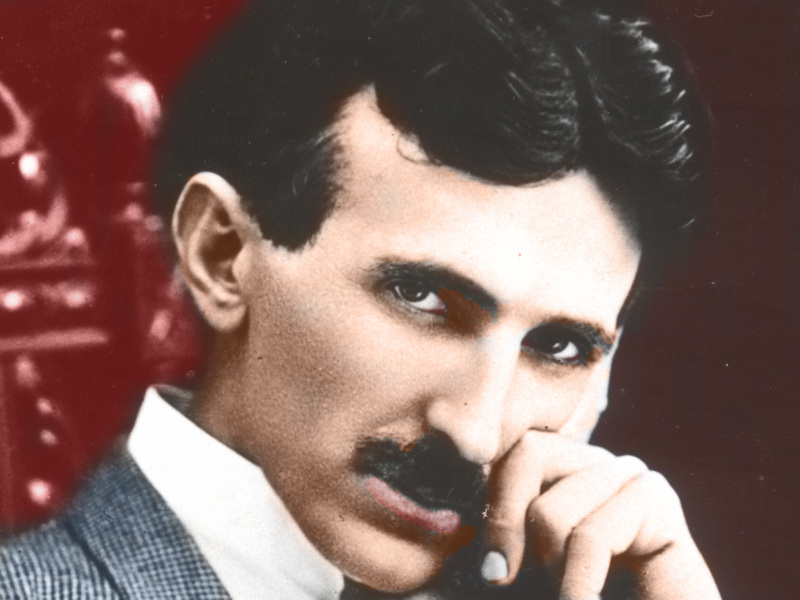 Nikola Tesla was a Serbian-American inventor, mechanical engineer, and electrical engineer. He was an important contributor to the birth of commercial electricity, and is best known for his many revolutionary developments in the field of electromagnetism in the late 19th and early 20th centuries building on the theories of electromagnetic technology discovered by Michael Faraday and used in direct current (DC) applications. Tesla’s patents and theoretical work formed the basis of modern alternating current (AC) electric power systems, including the polyphase system of electrical distribution and the AC motor. Born an ethnic Serb in the village of Smiljan, in the Croatian Military Frontier of the Austrian Empire (modern-day Croatia), Tesla was a subject of the Austrian Empire by birth and later became an American citizen. Because of his 1894 demonstration of wireless communication through radio and as the eventual victor in the “War of Currents“, he was widely respected as one of the greatest electrical engineers who worked in America. He pioneered modern electrical engineering and many of his discoveries were of groundbreaking importance. In the United States during this time, Tesla’s fame rivaled that of any other inventor or scientist in history or popular culture. Tesla demonstrated wireless energy transfer to power electronic devices as early as 1893, and aspired to intercontinental wireless transmission of industrial power in his unfinished Wardenclyffe Tower project. Because of his eccentric personality and his seemingly unbelievable and sometimes bizarre claims about possible scientific and technological developments, Tesla was ultimately ostracized and regarded as a mad scientist by many late in his life. He died penniless.